The post Pathmakers – Trustee appeared first on NEDworks. The post Brighton Dome and Brighton Festival – Chair appeared first on NEDworks. The post Social Security Advisory Committee – Committee Member appeared first on NEDworks. Nothing excites the business world like an M&A deal. Think of the fuss caused by the $30bn race to takeover of Sky by Comcast. And according to advisory firm EY, executives are so heady with M&A fever that the global “appetite” for deals is at its highest level for a decade. EY released a report this week saying a survey of 2,900 executives across the world had revealed that 59% of their companies are planning to acquire another business in the next 12 months, up from the 52% last year. 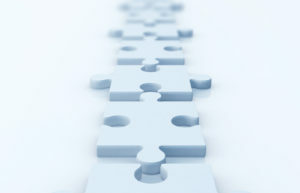 More than 90% believe the M&A market will improve this year. That’s a lot of potential buying and selling of companies. What’s perhaps more interesting is the explanation. EY says that the thinking inside boardrooms is that “disruption” and “uncertainty” in the market will provide opportunities. Moreover, it means executives have to review their portfolios of companies to ensure they “future-proof” their businesses. According to Steve Krouskos, EY’s global vice chair, transaction advisory services: “The increase in acquisition appetite is a clear indication that executives are focused on their pursuit of growth, underpinned by high expectations of their own future performance. According to EY a leap in portfolio review activity has taken place over the past year. A hefty 41% of companies now review their portfolios every three months, compared with fewer than one in ten a year ago. EY believes the increase in shareholder activism has prompted this interest in “portfolio shaping”. Activists, they say, are more interested in reconfiguring operations, geographic footprint or divesting underperforming business units. Boards no doubt reason that if they can get ahead of the game to make their own M&A decisions, they can head off a discomfiting encounter with an activist. In a recent article for the Financial Times, Hernan Cristerna, global co-head of M&A at JPMorgan Chase, noted that activist campaigns focused on M&A tend to outperform the market. He also noted that many activists are driven by the need for short-term gains, a motive that doesn’t necessarily suit shareholders of all types. Not all M&A works. Research from Willis Towers Watson and Cass Business School shows that the share price of many acquiring companies underperformed their markets last year, making 2018 “the worst performing year for dealmaking since 2008 and the first year that acquirers have underperformed for all four quarters”. According to the Institute for Mergers, Acquisitions and Alliances, global overall activity in numbers and value fell in 2018, as did European activity. This year may be a little different. 2019 has already seen the 10th largest deal of all time with the acquisition of Celgene Corp by Bristol-Myers Squibb for $79.4bn. There is also widespread optimism for deals in 2019, assuming the US market calms down and Brexit finds some form of resolution. The UK is expected to be one of the most active M&A markets, according to some. But with activism expected to grow across Europe—even if activists become less aggressive in their pursuit of target companies—EY may be right that “portfolio review” will remain the in-thing for some time to come. The post Trend for portfolio reviews drives M&A optimism appeared first on Board Agenda. A new UK stewardship code, published by the Financial Reporting Council, has asked investors to place more emphasis on performance against published policies. Andrew Ninian, stewardship director at the Investment Association, said: “Asset managers have been clear that any new code should require signatories to report against actual stewardship activity, rather than just the policy that sits behind them, and should also reflect the growing range of issues that asset managers engage on, such as diversity and ESG. Consultation on the code closed on 29 March. Financial regulators in Singapore have moved to clarify the rules surrounding mergers and acquisitions involving companies with dual-class shares. The clarification relates to stock holders who own dual-class shares and whether their total shareholding could trigger a “mandatory” offer under the code. The Monetary Authority of Singapore said the need to make a mandatory offer would be waived if the regulatory threshold was crossed through no action of the owners of the shares. “Where the shareholder is independent of the conversion or reduction event, the requirement to make a mandatory offer will be waived,” it clarified. 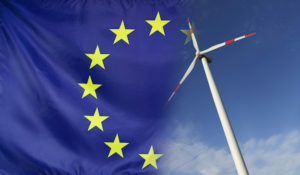 Further calls have been made for improvements to the EU’s Non-Financial Reporting Directive (NFRD) after research revealed disappointing results for campaigners. The Alliance for Corporate Transparency, a group of not-for-profits, found that only half the companies surveyed provided clear information on targets and risks associated with their impact on the environment. A majority of firms also failed to produce details of how their commitments to human rights would be put into action. New EU regulations on making working conditions more transparent for gig economy and zero-hours contracts has taken a step closer to becoming law. The regulations, to be included in the so-called Written Statement Directive, calls on companies to inform workers of their working conditions. It is believed that up to three million workers across the EU could benefit from the new legislation, which now has to be formally adopted by the European Parliament and Council. 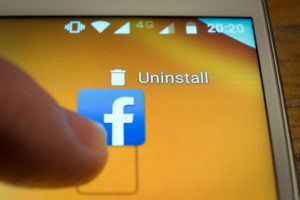 A German regulator has ordered Facebook to modify its data policies after ruling the company had abused its market position to collect information from users without their agreement. The case hinges on the way the site matches data from WhatsApp or Instagram with Facebook users. The Cartel Office said this could only happen with consent from users and Facebook has been given 12 months to develop proposals for doing so. The ruling marks another chapter in the increasingly controversial use of customer data and rising concerns for the privacy of internet users. Lawyers believe the ruling could have wide-ranging implications for business models reliant on the collection of customer data. UK audit committees could see their relationship with auditors significantly reformed after new proposals were published by the Competition and Markets Authority (CMA). Among the wide-ranging recommendations of the interim report, it suggests audit committees could spend more time on auditor scrutiny; that investors need to accept smaller firms as auditors if audit committees choose them; and other executives should have less influence on the audit process. Perhaps the biggest change for audit committee members is a proposal that audit committees should report directly to a regulator during the tender and engagement processes; and regulators should rebuke audit committees if they believe their performance is below par. The proposals came as part of the CMA paper on reforming the audit market, which includes separating audit from consulting services in audit firms and introducing a dual audit regime. Consultation on the proposals closed in January. The UK is set to partner with the World Economic Forum (WEF) to develop regulation for the fourth industrial revolution in artificial intelligence, autonomous transport, drones and medicine. 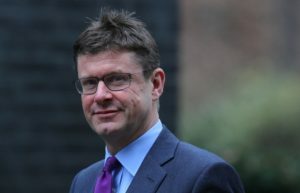 Business secretary Greg Clark said: “The government sees active and agile regulators as key to creating the business environment in which the industries of the future can grow, as part of our modern Industrial Strategy. ”The partnership has been driven by concerns that technology is developing at a much faster rate than ethical, legal and consumer protection. The financial regulator in Australia has sent a warning to auditors and directors over the treatment of non-financial assets in financial reports. The Australian Securities and Investments Commission (ASIC) clarified the accounting treatment in 2015, but after inspections this year decided to reiterate the advice. ASIC’s inspection revealed that impairment of assets accounted for the highest number of regulatory inquiries when looking at company accounts. The founders of internet taxi service Lyft are reportedly set to create a new super voting share. John Zimmer and Logan Green, president and chief executive respectively, between them own a stake of a little less than 10% of the business. However, The Wall Street Journal reports they are in the process of creating voting rights that would give them significant influence over the company. The post Legal & Regulatory roundup appeared first on Board Agenda. Audit committees should face public reprimand by regulators if they fail to provide adequate scrutiny of their auditors, according to recommendations from the UK’s competition authority. The proposal comes as part of a suite of measures published today by the Competition and Markets Authority (CMA), which also includes mandatory joint audits and the operational separation of audit firms from other services, such as consultancy. Part of a long-running probe of audit firms, the report is the result of public and political concerns following high-profile corporate collapses such as high street department store BHS and construction giant Carillion, among others. In October the CMA began looking at the audit market and delivered an initial report in December. This week’s final report, urging the splitting of firms and joint audit, delivers recommendations that have, in the past, proved contentious with the big audit firms. The CMA’s chair, Andrew Tyrie, said the government now had a number of reports that had broadly concluded the same thing: conflicts of interest affecting auditors had to be tackled and, with just four big firms serving the UK’s biggest companies, there are too few in the market. Andrea Coscelli, the CMA’s chief executive, said the recommended changes would bolster UK corporate governance. “Our recommendations, along with improvements to regulation and clarifying the purpose and scope of audits, will ensure the UK strengthens its position,” Coscelli said. Not everyone is impressed with the CMA’s report. The CBI, the UK’s biggest employer body, insisted some of the CMA’s proposals risk “damaging” the UK’s hard-won reputation for governance. John Allan, CBI president, lauded greater scrutiny of audit committees but honed in on joint audits and operational separation. “Improving the quality of audit to enhance public trust and investor confidence must be paramount. But the guiding star for any reforms must be a focus on what works. That theme was picked up more forcefully by Stephen Griggs, Deloitte’s UK head of audit, who also re-emphasised the firm’s support for reform and the CMA’s “objective”. However, Griggs warned that some of the recommendations would fail to meet the needs for increased choice and competition, and could have “unintended consequences, such as lower audit quality, damage to UK competitiveness, and weaker resilience of the sector”. Firms outside the big four drew attention to measures that failed to make the CMA’s recommendation, such as a market cap. But they also saw opportunities. Scott Knight, BDO’s UK head of audit, pointed to the significance of a CMA recommendation that companies could avoid a joint audit if they opted for a non-big-four, or “challenger”, audit firm. “The exemption from joint audits if companies appoint a challenger firm is new and could have a major impact,” he said. Others have pointed to yet more policies the CMA looked at but did not include. Paul Boyle, a former chief executive of the FRC, recently published a paper for the Centre for Study of Financial Innovation, recommending reform of the ownership rules governing audit firms. Currently, they can only be operated by “qualified” auditors. Boyle believes this should be liberalised. 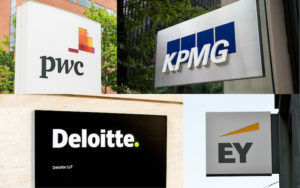 Joint audits and some form of separation have been long-running demands from some quarters for UK firms and, until now, always successfully countered by the big four, which argued they would do little to improve audit quality. Earlier attempts have also been made to tackle issues in the audit market. Triggered by concerns that auditors failed to see the risks to financial institutions ahead of the financial crisis, the EU issued reforms in 2014. New laws introduced mandatory audit firm rotation, restrictions on alternative services that could be offered to audit clients and new responsibilities for audit committees. The current audit crisis was sparked by the collapse of Carillion, though other corporate failures contributed to a widespread concern. At the root of concerns are three main claims. First, auditors are too close to their clients because of the perceived need to sell additional services, such as consultancy or tax advice, and therefore lack independence. It is claimed this then affects the quality of audit. Second, there is disagreement over the purpose audits serve. Some argue they can only be about checking processes; others insist they should be used to root out frauds or risky business models. Lastly, and connected, is the claim that there are simply too few big audit firms to provide the level of competition needed to produce high quality, independent audits. The collapse of Arthur Andersen in 2002, following the Enron scandal, left just four big firms—PwC, KPMG, EY and Deloitte—servicing audits to 100% of the FTSE100 and 97% of the FTSE350. Throughout 2018, MPs on parliamentary committees investigated the collapse of Carillion, including the roles of the company’s auditor and the audit regulator. In December Sir John Kingman published his review of the Financial Reporting Council, recommending its abolition and replacement with a new body to be called the Audit, Reporting and Governance Authority. The government accepted the recommendations of the report, though when the new body will be up and running remains unclear. December also saw the government launch a review into audit quality and standards under the leadership of Donald Brydon, the outgoing chair of the London Stock Exchange. Brydon is expected to report by the end of the year. The CMA’s recommendations will now have to be translated into legislation, which could be a lengthy process given that government and Parliament are preoccupied with Brexit. That could provide yet another opportunity to tussle over the detail. The post Audit committees face public reprimand as part of market reforms appeared first on Board Agenda. The post Ofgem – Non-Executive Director appeared first on NEDworks. The post East Lancashire Hospitals NHS Trust – Non-Executive Director appeared first on NEDworks. The post National Institute of Health and Care Excellence (NICE) – Chair appeared first on NEDworks. The post Bedford Hospital NHS Trust – Non-Executive Director appeared first on NEDworks.